What is the best live chat software solution? The best live chat solution is Freshchat, which offers all the power of modern communication across channels for all your sales, marketing or customer support needs. A new method by which businesses interact with site visitors, live chat software assists prospective customers in their purchasing decisions while touring websites.  It is likewise used in providing support to customers for products already purchased. This automation tool has greatly revolutionized the way businesses provide customer support, remarkably reducing support agent response times. 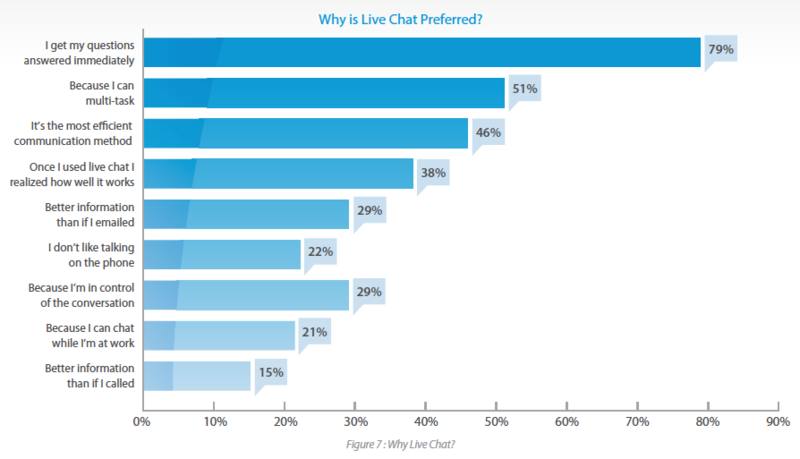 More and more large websites have been adopting live chat software as a means to offer support. But this is not to say that live chat software is only applicable to the big guys. Even small and medium size enterprises can take advantage of the benefits being offered by the solution. What are the 20 best live chat solutions of 2019? As opposed to early live chat technology, which required local installation and costly maintenance, Today’s live chat solutions involve but copying a couple of lines of code provided by a vendor and putting the same on a website. The process is relatively simple and does not require one to be technology savvy to accomplish. Live chat software solutions enhance customer experience through the use of live chat widgets. These widgets have a range of functions, the most prominent of which is being able to notify visitors of the presence of an online operator. A visitor needs only click on an image to initiate a conversation. Users can answer chat requests and keep track of site visitors through a chat console provided by the vendor or third-party apps such as Skype, Google Talk or Pidgin. Such solution can also be set to start proactive chats on behalf of free chat agents. With proactive chats, users can choose to make the chat client to disappear or turn into a contact form in the absence of an online agent. Users can also create canned messages, which commonly come in the form of phrases that greet customers and invite them to a conversation. These functionalities and more significantly contribute to the enrichment of customer experience. This is the reason behind the significant increase in the number of organizations using live chat software in their customer support. In fact, the global live chat software market is seen to grow at a CAGR of 7.98% and is expected to reach $819.2 by the year 2020. This growth is also seen to stem from the increased need to improve customer relations management, a business area where the software excels. The market for live chat software is categorized into six major segments namely, retail and e-Commerce, travel and hospitality, IT and consulting, telecommunication and pharmaceutical, with the first three sectors seen to remain as the top three users of the solution. Freshchat, a modern live communication platform, that helps businesses leverage their customer conversations whether it’s for customer support, sales, or marketing. It packs a familiar interface, self-service experience, robust team collaboration, comprehensive reports and analytics, and seamless integrations in its live chat platform solution. Marketers, support and sales teams in many industries, such as SaaS businesses, e-commerce, and travel websites, among others, can use the software. It gives an instant, continuous, and omnichannel experience for customers throughout their entire lifecycle. Some of its main features include message channels, unlimited contacts, team widget, events and user profiles, and campaigns, among others. Available on iOS and Android devices, you and your team can stay connected with your customers in any location at any time using any device. The software is included in the collection of business solutions in Freshworks which are used by many businesses around the world including top brands Hugo Boss, Toshiba, Cisco, Honda, The Atlantic, and QuizUp. It transforms your leads into customers. Meanwhile, Bots are available to qualify and engage leads proactively. The software doesn’t just help you leverage your customer service experience, but it can help you boost your sales as well by giving you relevant context to sell more faster. You will be able to onboard, retain, and re-engage users inside the product with campaigns as well as categorize conversations into topic-based channels to keep messages continuous and accessible. With Freshchat, you get enterprise-grade features at small business-friendly packages. In fact, the first of its four plans is offered completely free for a team of up to 10 active members. You can easily sign up for Freshchat free trial here. Zendesk helps you to speed up your customer support process and improve your customer satisfaction rating as a result. It utilizes rich collected data into lead-capturing content that targets interested customers and markets. It is scalable and ideal for freelancers, small businesses, medium businesses, and large enterprises. Its robust tools include ticket management, automated chats, screencasting, and forums. Moreover, the Zendesk interface is sleek, clean, and energizing with all the necessary commands easily available to agents. It works right out of the box and no advanced technical skill is needed to operate it. One of its unique features is screencasting. Through it, customers can capture a video of their screens so that agents can fully understand errors and concerns. Agents can also share files and photos to make it easier for customers to apply solutions. Zendesk also provides frameworks for faster knowledge-based support. Zendesk integrates with numerous third-party apps like FreshBooks, MailChimp, Shopify, and WordPress. It also has apps for Android and iOS devices. Pricing is agent-based and it’s available in the market for as low as $5 per agent/month. You can check out its tools and features at no cost when you sign up for a Zendesk free trial. LiveChat is an online chat and help desk tool you can put on your websites in order to provide real-time support and service to your customers and visitors. It comes with three main components – a web-based chat window, web-based control panel, and operator application. It offers cross-platform capabilities that allow logging in and chatting with visitors via desktop and mobile devices to help you with your online sales and marketing, web analytics, and live customer care or support requirements. The platform enables you and your team to talk with clients and potential customers in real time directly on your websites. it comes with an array of functions that include not only chat but also ticketing, customer engagement, third party integration, file sharing, work scheduling, advanced reporting, multiple branding, data security, geo-tagging, co-browsing, chat surveys, and more. Furthermore, it provides real-time website traffic monitoring, dashboards and statistics, efficiency analysis, and custom/standard or interactive reports. LiveChat also offers intensive integration with dozens of other applications and platforms, extending the software’s functionality to include ecommerce, sales, CRM, email marketing, content management, accounting, and analytics, to name some. The vendor offers a great free trial that lets you try out all the key features first. You can easily sign up for LiveChat free trial here. A tool designed to track website visitors and provide live chat support, Zoho SalesIQ is targeted at small and large organizations. It is capable of improving customer engagement while capturing statistical information. The software displays multiple types of data, including site behavior, visitor frequency and location. Its customer support and sales intelligence functionalities eliminate the need for third-party applications, resulting in user cost savings. Zoho SalesIQ’s integrated productivity tools and third-party software enable it to transfer data, facilitating information importation and extraction. It likewise categorizes and stores these data for future use. Using dedicated Android and iOS apps, the system can be accessed from virtually any mobile device. The platform can drive a company’s sales by boosting marketing strategies.Such is achieved by evaluating customer data and using them to make marketing adjustments. It helps companies deal with potential customers by being able to quickly respond to their queries. These questions are transformed into useful sales intelligence indicators, which can be used as basis to make sound business decisions. Putting premium on context and now incorporating an advanced artificial intelligence (AI-Zia) engine, Zoho Marketplace availability, and a process standardization that is essential to organization seeing sustained growth and expansion, Zoho Desk aims to be your all-in-one tool to address any need for customer communication and interaction. Zia, the built-in Augmented Intelligence in the system, gives you the ability to detect and measure sentiment and anomaly based on customer behavior. That is a significant advance in determining client psychology, one that could work wonders in the hands of a sharp agent. Not only that, Zia can also serve as a discreet coach on the background, helping agents and customers resolve issues quickly and satisfactorily to the requirements of the client. Zoho Desk being offered on the Zoho Marketplace means any business can now incorporate the key functions of Zoho Desk in their landing pages and websites, arming them with tools to best handle both prospects and clients. The app is fully customizable which gives users the room to fit Zoho Desk to their existing system. The process standardization feature, which Zoho calls Blueprint, is a tool to help expanding businesses administer discipline to multiple branches, offices, regions virtually all over the world. It’s intended to lend consistency and predictability to key processes. If you want to explore its features closer and at no cost, you can easily sign up for a Zoho Desk free trial here. A helpdesk support solution that integrates multiple channels in a single platform, LiveAgent is every customer service manager’s dream. It is a simple and intuitive piece of software with highly accessible tools, enabling first time users to gain mastery of the interface in no time at all. It is a deviation from standard helpdesks that are notoriously tedious to run, especially when dealing with large volumes of clients. If you’d like to test the software first then there is a free trial plan available. You can easily sign up for LiveAgent free trial here. Being a customer-oriented platform, LiveAgent provides even the smallest of users with 24/7 support. Such also applies to on-premise licenses, with concerns typically resolved within a day. To complement this feature, much-needed feedback is provided as the vendor has in-house representatives, which speeds up resolution of issues. Even in the absence of an online chat agent, LiveAgent is able to provide excellent support with the help of a customer portal where clients can get needed information. This eliminates the need to review tickets because all data are saved and properly categorized. Agents who have limited knowledge of specific customer concerns can still assist them as the system is equipped with robust chat and management functionalities. LiveAgent is scalable so businesses of any size get to choose from different options, enabling them to take only what they need. Aside from this, it allows organizations to save money during low seasons by enabling them to roll back to the basic plan, which starts with email support and ticketing. This can be upgraded depending on users’ needs, such as the introduction of live chats in their websites and so on. What’s good about the platform is that no additional licenses are required in instances when a business has multiple websites. LiveAgent can be embedded in different sites, with users able to create different chat buttons, contact forms or knowledge base. With this capability, the software manages all support channels using a single license. Although the solution has been proven to be as secure as can be, the vendor still gives users the option to host LiveAgent in their own sites with the use of a stand-alone app. This way, business owners are given peace of mind in terms of technology security. LiveAgent is indeed a one-stop solution to businesses’ customer support needs, the reason why it has consistently kept its lead in the market. This one is definitely worth checking out. A leading chat and messaging platform, cloud-based LiveEngage effectively reduces costs associated with customer care by as high as 48%. It enables users to communicate with consumers using their choice of channel. Similarly, customers can easily reach businesses at any given time using the solution. Clients at the same time are informed when they would receive a response. Selected customers can make urgent inquiries, while some can be quickly accommodated. This is done by simply sending them an SMS informing them of their option to be served first. The software can be used with any browser and does not require complicated installation as it only takes four minutes to set up. Users can work with the system from anywhere, enabling them to get incoming message alerts. Customers can be aided in filling out forms by simply opening a secure Cobrowse session. Customer data are displayed along with the conversation. More importantly, support performance can be measured in real time using a number of KPIs. Users can mine customer data with the platform’s reporting and analytics. The system is capable of filtering information so that users receive only what they need. There is no need to search for data as they are automatically delivered upon user login. This functionality likewise allows agents to see their KPI metrics in real time while chatting with customers. Managers can view the same, using the data to help improve their own roles. Customer data security is among the best as LiveEngage has more than 15 years of experience in providing cloud-based services. With the platform, customer satisfaction scoring is automatic, essentially doing away with surveys. The application’s Meaningful Connection Score measures the link between brands and customers, analyzing consumers’ interaction with a brand and coming up with unbiased and accurate customer satisfaction scores. A real time live chat solution, ProProfs Chat can be easily integrated into any business’ website, allowing agents to quickly interact with site visitors. The app can significantly boost sales by enabling businesses to improve communication with clients both existing and prospective. Using the software, support personnel can help customers with product inquiries and concerns preventing such issues from adversely impacting buyers’ decisions. This is done through ProProfs Chat’s ability to view customer messages before they are even sent and see just what they are looking for in the site. Also, users are able to come up with pre-fabricated messages and greetings available from a template library. The platform can be quickly integrated into any business’ website, taking only minutes to set up. All it takes is copy the ProProfs Chat code and embed it into a webpage. It can be run on any browser as well as operating system and can be accessed from any device, including iPhone, Mac and Windows. A pre-chat form that comes with the system enables users to get customer data, which can be used to further improve businesses’ customer base. Support agents are also allowed to send chat invites to help engage customers while giving them guidance throughout the purchasing process. The vendor offers a free trial plan for their software as well. You can easily sign up for ProProfs Chat free trial here. A live chat application that is useful in converting visitors into paying customers, Intercom Live Chat has the ability to engage visitors or anyone who uses the app for that mattter. Using the software, customer support agents can respond to queries via SMS, chat or email. It is capable of tracking events and custom data to enable users to get leads. Page views can also be monitored using event metadata. Using the solution, adding leads to companies is possible, all that is needed is to send company information. Users are allowed to manually convert a lead into a user when needed, while an option within the software enables agents to send auto messages to your visitor at the right time. What is great about the application is that automatically it saves user data, enabling businesses to easily group and subsequently message them. User data include email addresses, site visits, timezones and social profiles. The solution is capable of multi-language support, including English, French and German, with visitor language automatically detected by the system. The messenger can be customized from within the platform, allowing businesses to provide real support to selected users. Product links can be added in the messenger while a custom launcher of iOS and Android application can likewise be created. User data can be exported from Intercom Live Chat, while user data can be imported from CSV MailChip and Mixpanel directly to an Intercom account. Such information can be updated in real time while additional features can be provided for some users. HipChat is a live chat software specifically created for use in business team communication. It comes with a plethora of functionalities such as group and private chat, file sharing, video calling and screen sharing. The solution seamlessly integrates with leading business platforms, allowing users to use it with their current systems. It supports leading operating systems, including Mac, Windows, iOS, Android and Linux. The software has a web-based version, for those who want to forgo with laborious installations. With the software’s mobile connectivity, business teams can connect and collaborate anytime, anywhere. One can customize alerts for updates and missed messages. Notifications include in-app, email, text and mobile push. Platform security is likewise worth looking at. HipChat offers secure guest access, protecting customer information at all times with the use of 256-bit SSL encryption security. With the software, users are assured that all conversations and vital information are safe from prying eyes. Live chat solution Smartsupp offers businesses the capability to chat with visitors in real time. This means that support agents can quickly answer consumer queries, with users getting instant notifications every time a chat conversation is initiated by a customer. A recording feature allows users to record visitor screens, which can be replayed on the website. This is very useful in observing and getting insights on customer behavior. Smartsupp can be embedded into any website, which offers tutorials on how to integrate the software with popular tools. Its support for mobile devices enables users to answer messages from smartphones at any given time. The tool is customizable to fit your web design. Position, text, colors and chat box can be customized to match your brand. The solution can generate canned messages, allowing users to come up with custom rules to automatically send personalized messages to site visitors. These messages can help boost sales, which can be measured along with conversion rates using Google Analytics. Smartsupp has multi-language support, which include English, Danish, Hungarian, Czech and Russian, to name a few. The software is being offered on two premium packages, which include advanced functionalities such as group statistics, API, Google Analytics integration, among others. A forever free plan is also available which allows for unlimited number of agents albeit, with fewer features. A popular live chat program among businesses, Olark is not limited to customer engagement using chat conversations. Its features and integrations enable users to effectively manage customer relationships with ease, glean vital insights and monitor customer activity. This allows support agents to immediately resolve queries and concerns. Detailed reports generated by the system can be used to monitor results and use them to make sound business decisions, which leads to increased sales as well as customer satisfaction. The software can be customized, enabling users to modify the chat box to fit the web design. HappyFox Chat is a live chat and customer support software designed for different enterprises. It is capable of streamlining customer relationships and enriching customer experience. Its simplicity and usability define the solution, providing excellent live chat and automation. The main thing about this piece of software is that it enables agents to provide fast support. It practically takes no time at all for them to recognize customers and make connections by automatically sending personalized messages. As agents have insights on site visitors’ behavior, they are able to control the conversation flow more efficiently. Provision of resolution is also fast owing to the customer database that comes with the system. One notable feature of HappyFox Chat is its ease of use and its ability to allow users to customize and personalize the system. In effect it is practically a CRM, a marketing automation tool and a project management platform all rolled into one. It encourages collaboration among support agents using a private channel where they can exchange ideas on how to better improve customer experience. Pricing is also a strength as the app can cater to small businesses with its flexible pricing models. Set up is fast and easy and the software integrates with current systems and third-party applications such as Zapier, Zendesk and Sugar CRM. A total customer support solution, TeamSupport facilitates communication and collaboration among support agents. Its ability to streamline departmental relationships and handle resources significantly improve customer support. The software essentially helps the whole enterprise function as one while providing support. Being cloud-hosted and highly-scalable, the platform is highly recommended for small and large businesses. Its has distinctive and very useful features such as reporting, self-service customer portals, screen recordings and live chat. The solution’s internal chat mechanisms enables users to have conversation with customers from just about anywhere. This is attributed to TeamSupport’s support for mobile operating systems, which include iOS, Android, BlackBerry and Windows Phone. It is intuitive and therefore very easy to learn and use. Also, no installation process as well as costly maintenance and updates are involved as the software is cloud-based. With the platform, businesses can monitor the performance of individual agents and analyze customer engagement. The information derived can then be used to improve business practices and customer services, which eventually leads to increased sales and profitability. In monitoring agent performance, the tool analyzes ticket engagement, capturing agent performance trends. The software comes with support for understanding customer information, allowing organizations to focus on other areas of their business. Aside from this, a training video can help users come up with cutting edge ideas on how to make new customers or make one of their own. TeamSupport is indeed a product worth checking out. Its multiple functionalities are bound to benefit any business looking to boost customer support. A powerful site visitor management and live chat solution, Hitsteps allows organizations to monitor site visitors, tracking their activities in real time. It keeps a record of page visited by customers and how long they stayed in those pages. Its live chat tool boosts customer engagement through speedy and interactive conversations. With the software, users can glean important customer information that can be used to improve engagement and convert prospects into paying customers. A page analysis functionality allows users to identify website attributes that appeal to customers by showing the most clicked parts of the site. Through this, elements and buttons that prove attractive to visitors are identified. Likewise, underperforming areas of websites are determined based on which, useful changes may be made. These features and functionalities gives users an edge in conversion. Live chat solution Comm100 is designed to boost enterprises’ customer satisfaction rates and engage customers and prospects in real time. It is targeted at businesses of all types and sizes. This robust platform can aid sales teams in tracking and identifying potential customers, while addressing issues raised by existing ones. It basically helps in business growth, boosts brand and improves communication. Comm100 captures customer information and stores them in a single database, which can be accessed from anywhere. The software can help agents collaborate to find ways to improve customer support. It can integrate seamlessly with third-party applications, making it even more useful. The solution can be very valuable especially for online businesses, enabling real time connection while appearing very dependable to every customer. This feature allows businesses to increase traffic to their respective sites. Customer engagement and tracking becomes easier as the product allows users to quickly connect to customers and exercise absolute control over conversations. Comm100 can be customized and can be configured to suit every organization’s needs. With this functionality things such as chat buttons and post-chat rating methods can be tweaked. Users also have the options to turn off functionalities that they do not need. The platform is able to track visitor behavior and navigation choices. Such information are collected and stored in a single database where they can be retrieved anytime. REVE Chat is a comprehensive customer engagement platform that offers Live Chat, Voice Chat, Video Chat and Facebook and Viber Messaging services to businesses seeking to improve customer engagement through their websites. The platform provides support agents with the ability to personally assist site visitors. The software can be easily integrated into businesses’ websites, which takes but a few minutes. It has a wide range of functionalities and features such as basic live chat, interactive voice/video chat setup and Facebook and Viber messaging. These features effectively simplify the visitor engagement process. REVE Chat enriches site visitors’ experience in your website. Support agents are able to instantly address concerns the moment a visitor asks for support. Visitors with specific requests are catered to by sending such requests to concerned departments to be handled by qualified agents. For users on the go, the solution can be integrated with their mobile apps, making it accessible from any device. Using the platform, multiple visitors can be engaged at the same time, increasing your business’ support efficiency. It can greatly increase online sales conversions as agents are able to efficiently deliver support to customers. Customers, on the other hand, can provide feedback, which is an essential component of business growth. These feedback can be used to come up insight on consumers and use them to make improvements to products and services. Live chat software SnapEngage is a powerful tool that is designed to improve customer engagement. It hosts features such as team chats, reporting, monitoring and user roles, among others. The solution automatically initiates conversation by inviting site visitors to chat, eliminating the need to wait on unresponsive chats. The system is highly customizable, enabling users to change agent photos, the chat window itself and buttons. All that is needed is to provide the vendor your design and the chat window will be customized to fit your company’s web design. As there is no need for any software installation, agents can sign in and chat anytime, anywhere. With the software’s text-to-chat feature, visitors can initiate conversations with agents using SMS through the same chat portal. They can likewise share images and other files through the chat window. Customer feedback can be collected after every chat session through a post chat survey functionality. This is very useful in getting customer insights, which can be used to come up with sound business decisions. Visitors on the go can be reached as the platform supports Android and iOS devices, making it accessible at any given time. For visitors who do not have time to chat, offline forms are available, which can be used to leave messages for agents. SnapEngage also takes security very seriously, its PCI compliance allows agents to collect and secure customer information directly from the chat window. Acquire offers more than just live chat features. This cutting edge multi-channel communications platform benefits support teams with more engaging, personalized, and fast customer communications on your website. It comes equipped with screen sharing, voice call, co-browsing, speech recognition, call recording, and instant file sharing features. The software can also be implemented for various other purposes, such as sales or onboarding. With Acquire, your agents are able to provide customers with personalized support, as customer profiles are kept up to date so sales or support teams can efficiently address inquiries or concerns. Chatbots can also be deployed to respond to both simple and complex issues. It leverages powerful machine learning algorithms in order to provide the best possible responses to customers. One of the biggest benefits of Acquire is making customer support accessible to your clients. Increasing client interactions introduces more opportunities, benefitting your business with better sales overall. A cloud-hosted business chat program, Hybrid.Chat is designed to optimize your website for lead generation, customer engagement, as well as client support. With this at your disposal, you can engage website visitors as soon as they access your homepage and assist them with concerns 24/7. It comes with a chatbot builder that is easy to navigate for both tech-savvy and technologically challenged users. You can simply specify how you want your chatbots to start conversations with website visitors and map out responses to common questions using your spreadsheet. After which, all you will have to do is choose what kind of bot you need, upload the spreadsheet to the system, and Hybrid.Chat will add the widget to your site and run the chatbot as you programmed it. This application also takes into account that bots, no matter how intelligent, can only anticipate human conversations to a certain point. To remedy this, it comes with a seamless human agent takeover system wherein it forwards a particular conversation to active agents through your existing live chat software. This way, you don’t need to learn how to use a new messaging software just to be able to use this platform.